Our experts have some serious credentials. Coach Coletti oversees Tapout Fitness’s branded programming and is the creator of Tapout Fusion. His fitness philosophy is rooted in the premise that fitness must be fun, and engage both the mind and body, in order to make it part of your lifestyle. At Tapout Fitness, Kyle has created addictive total body workouts that are quick and incorporate varying intervals to keep you coming back for more. As a fitness entrepreneur, Kyle is the creator of the Focusmaster Fitness Workout and Focus45 Bootcamp. Adding a little celebrity to his accomplishments, Kyle was the winner of Spike TV’s “Sweat Inc.,” hosted by Jillian Michaels. Kyle’s Focusmaster concept beat out 27 other platforms and was awarded the $100,000 grand prize. Coach Jackson has partnered with Tapout Fitness and developed our exclusive Tapout Martial Arts for Kids and Adults. Greg has spent more than 20 years revolutionizing the world of mixed martial arts. 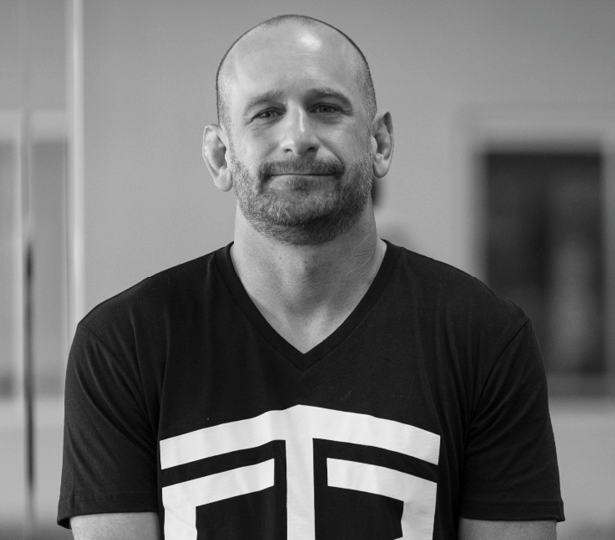 In 1992, Greg co-founded the Jackson-Wink Academy, and is universally acknowledged as the world’s preeminent mixed martial arts coach and instructor. With an 85% winning percentage, Greg has also trained 14 world champions and fighters, including George St. Pierre, Jon Jones and Sarah Kaufman. At Tapout Fitness, Greg incorporates the techniques pros use and makes them accessible to everyone. Plus, you’ll benefit from the martial arts mind-body connection, which is key to outstanding results.